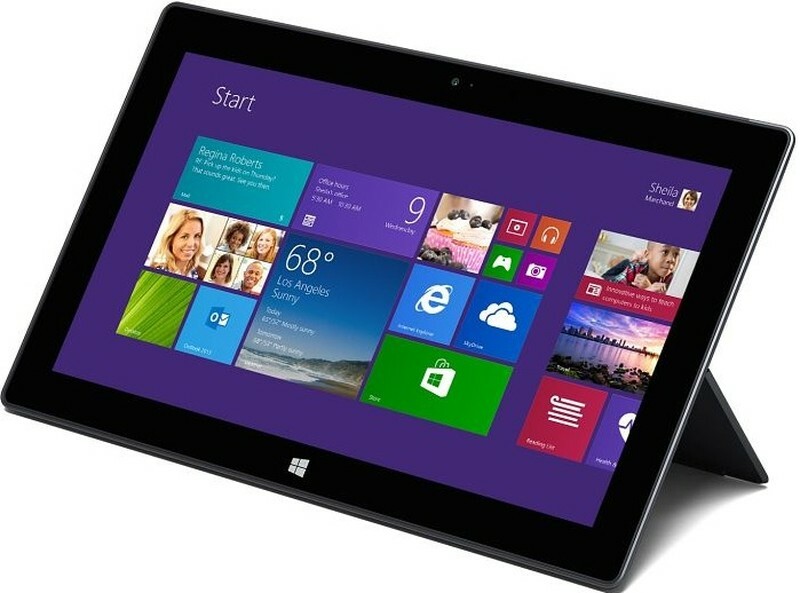 Microsoft combines the portability of a tablet and the performance of a laptop with the Surface Pro 3 128GB 12" Multi-Touch Tablet. Weighing just 1.76 pounds and measuring just 0.36" thin, the Surface Pro 3 packs 4th-gen Haswell Intel Core processing power into a magnesium casing with a silver finish. 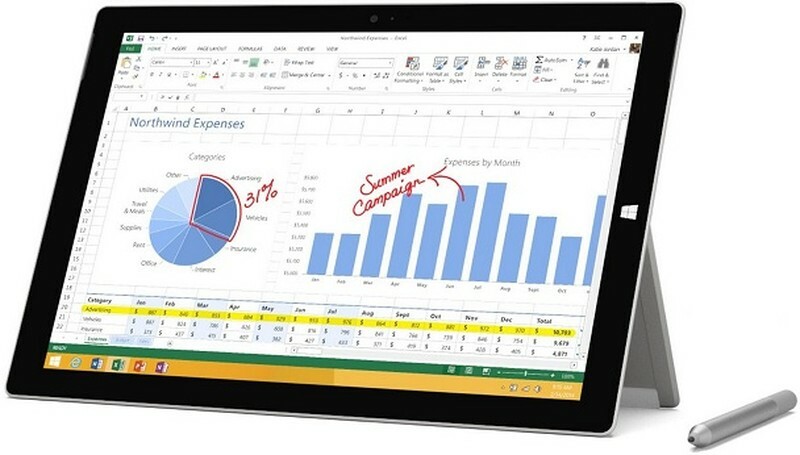 The Surface Pro 3 features a 12" ClearType Full HD Plus widescreen display with a 2160 x 1440 native resolution, which allows you to play Full HD content with ease. The display is also a touchscreen so you'll be able to take full advantage of the multi-touch gestures incorporated into Windows 8.1 Pro. If you want to output video to an external display, you can use the mini DisplayPort. The system is powered by a dual-core 4th generation Haswell 1.9 GHz Intel Core i5-4300U processor. 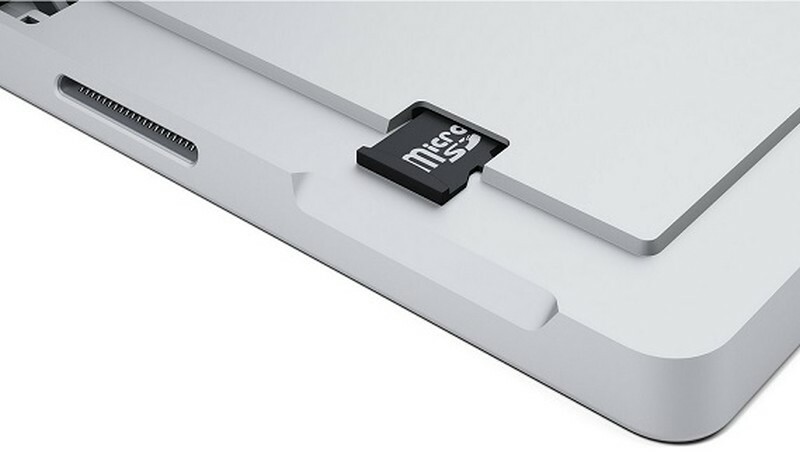 It also has 4GB of RAM, 128GB of flash storage, a microSDXC media card slot, 802.11a/b/g/n/ac Wi-Fi, Bluetooth 4.0, two 1080p cameras, and integrated dual microphones. There are also built-in stereo speakers with Dolby audio. Windows 8.1 Pro improves the user experience of Windows 8.1 with several additions and changes. Windows 8.1 Pro focuses on data security. BitLocker drive encryption helps protect corporate data. SmartScreen services help protect you from malicious sites and software on the Internet. Windows 8.1 Pro provides a unique and secure user experience that differs from previous versions of Windows.